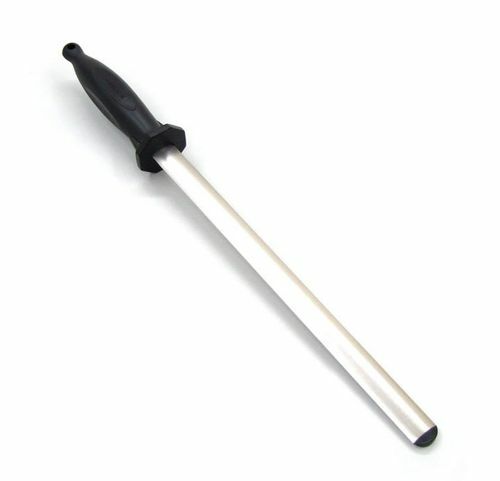 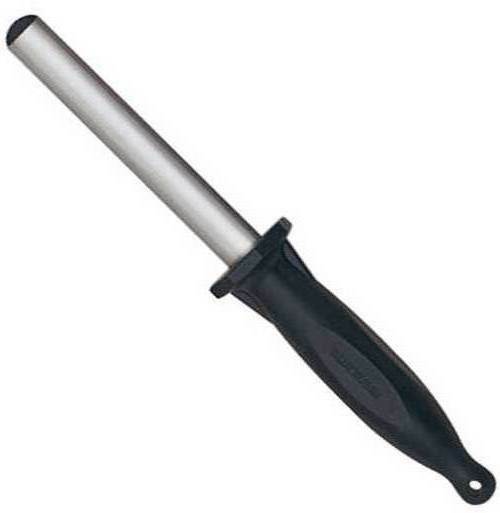 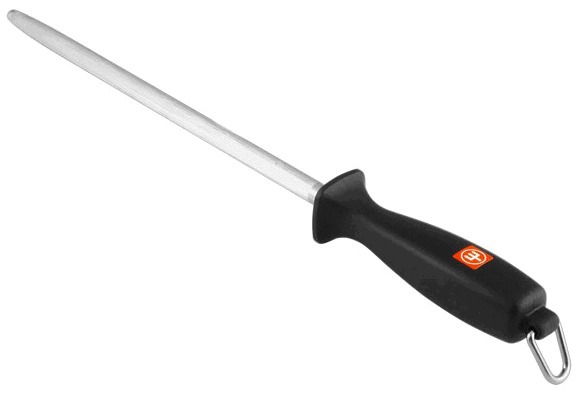 Top quality round steel with black plastic handle and middle to fine cut. 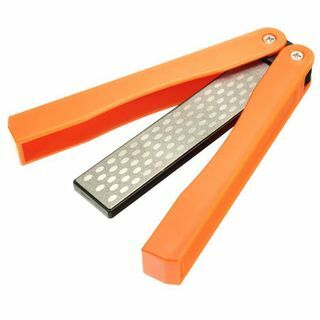 The Jewelstik diamond knife sharpening steel is lightweight, well balanced and easy to use. 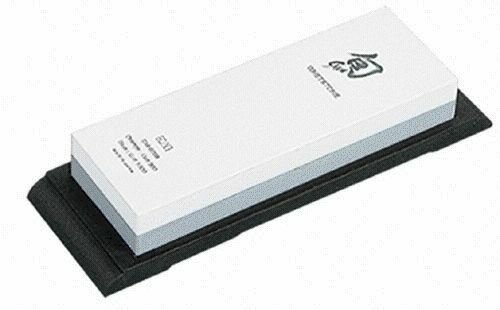 Excellent sharpening performance, this double sided diamond sharpening stone is designed at 360 Grit for initial coarse sharpening & 600 Grit for fine honing. 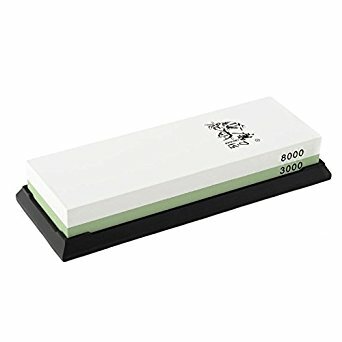 This deluxe high-grade water based whetstone ensures effective sharpening results. 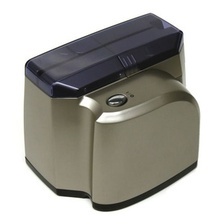 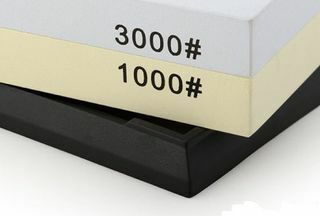 The Global Ceramic Water Sharpener is an effective, easy and safe way to keep your Global knives in pristine condition. 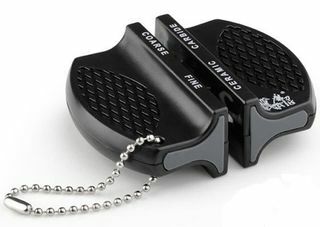 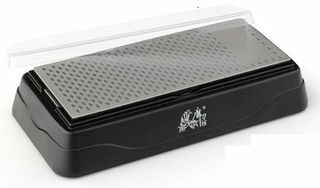 This diamond-electroplated folding knife sharpener ensures efficient sharpening and is easy to carry with a folding cover that protects the surface in your bag or drawer. 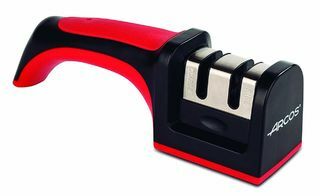 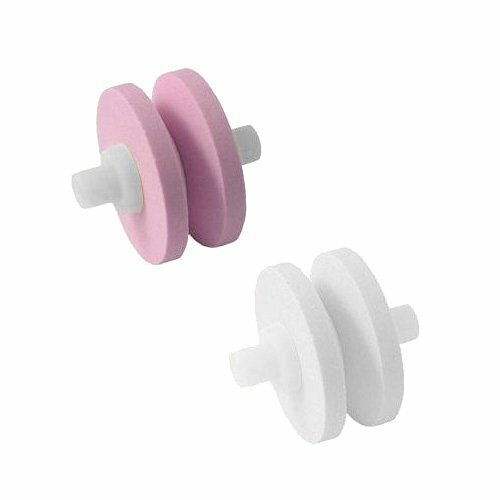 Compact size and light weight for easy carrying, this two stage carbide and ceramic sharpener is perfectly designed to use outdoors. 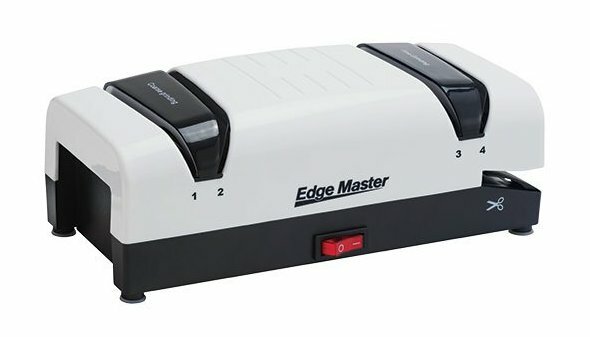 Rejuvenate your knives or simply maintain their sharpness with the Edge Master electric knife sharpener. 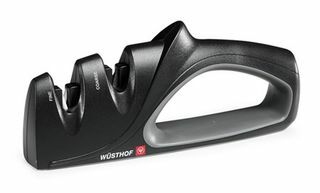 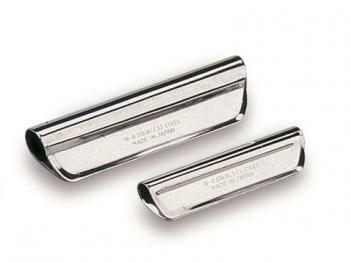 It is the easiest way to keep your knives as good as new.